Dr John Stanton, a Senior Lecturer in the City Law School, explores incoming President Donald Trump's immediate legislative and judicial challenges. The idea of Donald Trump as the most powerful individual in the world has generated a great deal of anxiety. Trump proposed to ban Muslims from entering the country, to build a wall across America’s border with Mexico, and more besides. There are deep worries about his potential conflicts of interest, and even about whether his temperament could affect the US’s place in the global order. Ultimately, as Joe Biden recently told the New York Times: “We have no freakin’ idea what he’s gonna do”. Nobody really knows what a Trump presidency will mean for America and for the wider world. Given the depth of concern, it pays to consider how the US’s constitutional legal constraints will function in a political culture increasingly shaped by populism. After all, any democracy must respect the political views of its citizens, but they in turn must respect the legal framework that is meant to help protect and serve them. The US benefits from various constitutional restraints that could, if used properly and allowed to function effectively, temper Trump’s behaviour. On paper, the president isn’t in fact quite as powerful as popular opinion might have it. Presidents are kept in check by the principles and values set out in and protected by the US Constitution, and also advocated more broadly by the Founding Fathers back in the 18th century. The system respects a separation of powers and honours checks and balances, which mandate that while the presidency is the seat of executive power, the government’s legislative and judicial functions are carried out elsewhere. 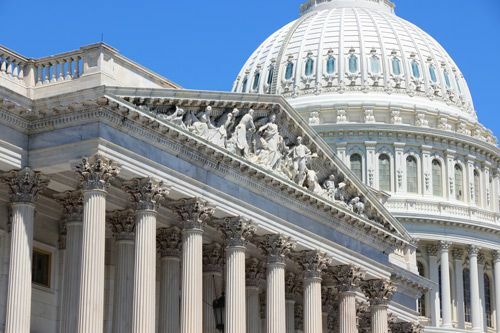 Congress, not the president, makes the law; while the president has the power to approve or veto bills, once they have been passed, that veto can itself be overruled by a two-thirds majority in both houses. This means that if Trump’s policies and views are actually going to become law, he has no option but to work with Congress. He’ll be helped by the fact that Republicans control both houses, improving his chances of getting what he wants – but the party is deeply divided on various key issues. Unifying it now will not necessarily be easy, limiting Trump’s power even further. Then there’s the Supreme Court, which like Congress is designed as a check on the system. It is ultimately the guardian of the US Constitution itself. 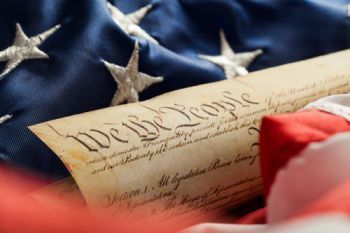 The court has the power to examine legislative and executive action taken by those in power, and can even adjudge it unlawful if it violates the constitution’s provisions. But the court also offers Trump a chance to flex his muscles. Under Article 2 of the US Constitution, the president has the power to nominate judges for appointment to the Supreme Court – and indeed there is a vacancy at the moment, after Senate Republicans refused to hold hearings for President Obama’s nominee, Merrick Garland. Though this power cannot be exercised alone but must draw from the advice of the Senate, it does mean the judicial branch and the process of nominating justices to it are to some extent politicised. But the court nonetheless provides an external legal check on the exercise of presidential power, and it has gone against the will of presidents on more than one occasion. But Trump would not be the first president to fight or defy the judiciary. Even his Republican presidential predecessor, Abraham Lincoln, ignored a ruling of the Supreme Court to suspend habeas corpus rights during the Civil War. To the extent that anxiety about the next four years hinges on some of Trump’s election promises and the worry he might actually follow through on them, the US’s legal framework is designed to ensure that their realisation doesn’t exceed the scope of executive power and that it is tempered by a system that serves to uphold the Constitution. So will it work? On some of his most hardline pledges, it might not have to, as there are already signs that Trump and his allies may be softening. Some of the key pillars of “Obamacare” could remain in place, and the wall on the southern border paid for by Mexico might be a mere fence funded in the first instance by the US government itself. Yet while some of this may have been rhetoric designed to shock, it clearly betrays a lack of respect for the fundamental values and principles at the heart of the US constitutional system – the rule of law among them. He bitterly criticised a district judge, Gonzalo Curiel, who found against Trump University in a fraud case – accusing this “hater” of bias because of his Mexican heritage – which raised concerns for the independence of the judiciary. Trump also threatened to reject the result of the election if he lost to Hillary Clinton, displaying a disregard both for established rule and for the constitution’s 12th amendment, which sets out the process of presidential succession. If Trump really does have so little time for the inconvenient matter of the rule of law, it is hard to predict just how effectively the US’s constitutional legal restraints will be able to limit his executive power. The constitution is there for precisely this purpose – and Trump will not be the first president to test its limits. But then again, there’s never been a president quite like him. Habeas corpus is Latin for "you may have the body". It is a writ which requires a person detained by the authorities be brought before a court of law so that the legality of the detention may be examined.